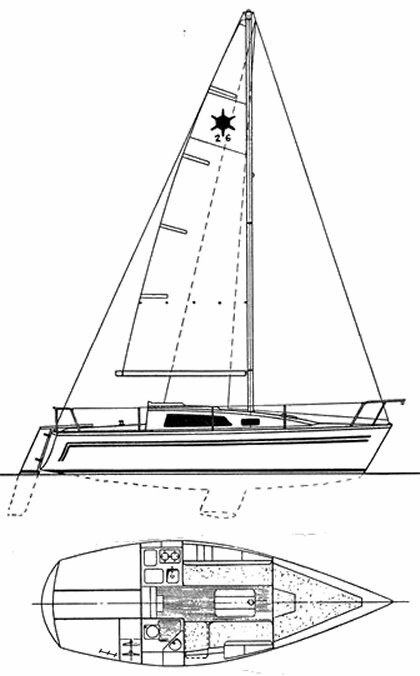 Based on the KELT 7.60, slightly retooled and given a lead winged keel. Thanks to 'strider', previously a dealer for these yachts, for providing corrections and additional information. On the brochure, design credit is given to Vandestadt & McGruer.